The introduction sets the stage for any speaker. Before reading the introduction, ask, everyone to turn off cell phones, pagers, pda’s…anything that might beep, buzz, hum or play Beethoven’s 5th Symphony…Also, we apologize for even mentioning this and we do only because it has happened in the past - please don’t preface your introduction with, “I’m going to read what Al sent me.” Because…it doesn’t make any of us look good! Our best advice is to just read this like you wrote it. – Have fun doing it and we think you should get at least a chuckle or two from the audience. At the end of the introduction, lead the applause to bring Al up. We are in for a treat. Our speaker has been sharing his thoughts and his brand of humor with audiences from around the world for several years now. He has been inducted into the Speakers Hall of Fame, given the Master of Influence Award for his global impact through speaking and Al also has been honored with the Cavett Award! This is the most cherished award presented annually to only one member of the National Speakers Association who has rendered exceptional service. Not only does Al have these prestigious awards, but he is a Past President of the National Speakers Association, he holds the earned designation of Certified Speaking Professional, and he is a member of the Platform Professionals. 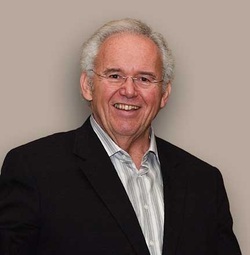 In addition to his books, Thinking Big & Living Large and The Sheep Thief, our speaker has written articles on leadership, sales, customer service, personal development and speaking that have appeared in professional publications throughout the world. He is a proud 13th generation South Carolinian and a graduate of THE University of South Carolina. Even after losing almost 200 pounds (which Al likes to call his evil twin), he is still known as a big man with a big message. Coming to us all the way from South Carolina, The Palmetto State, please help me give a warm welcome to…………………… Al Walker!